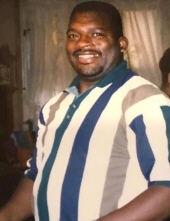 It was with great sadness that the family of Michael T. Hughey announced his passing on Tuesday, April 2, 2019 at 12:57 at Mountainside Hospital in Montclair, New Jersey. Michael was born in East Orange, New Jersey on April 9, 1962. Michael attended Newark Technical High School. He worked for Valley Transportation in West Orange for many years. Michael loved to go to amusement parks and ride the roller coasters. He loved Batman and Michael Jackson. He also collected Batman trinkets. He also loved electronics and going to the mall. His favorite restaurant was Red Lobster. Michael would always like to go out to eat. He would always say: “I will treat”. Michael was very generous. After 17 years on dialysis Michael gave up his fight. Michael will truly be missed but not forgotten. Michael leaves behind: his beloved mother, Carol Hughey; his father, Lewis Hughey, Sr.; his brothers, Lewis Hughey, Jr., Robert Hughey and Harry Hughey; his sister-in-law, Deborah Hughey; nieces, Brittany, Vanessa, Ashley and Kimberly Hughey; his nephews, Terry and Corey Hughey; along with cousins, aunts, uncles and friends. This Online Memorial has been created to commemorate the life of Michael T. Hughey. Leave a message on the Tribute Wall to share your favorite memories and offer words of sympathy and comfort. To send flowers or a remembrance gift to the family of Michael T. Hughey, please visit our Tribute Store. "Email Address" would like to share the life celebration of Michael T. Hughey. Click on the "link" to go to share a favorite memory or leave a condolence message for the family.